Ralph Fletcher earned a masters degree in fiction writing from Columbia University, in New York. There he got to work with some wonderful writers (Richard Price, Gail Godwin, Edmund White) who left a mark on him. He is married with four terrific sons. He has a special interest in young writers. He believes that every kid--even a five or six your old--can learn to write! he wants to do whatever he can to nourish the talents of young writers. He enjoys visiting schools, talking with young readers and writers. 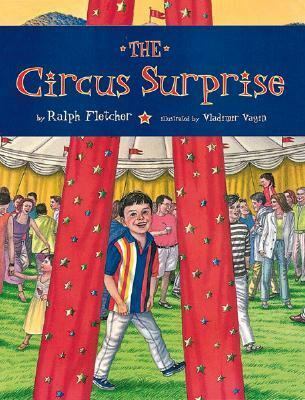 Ralph Fletcher is the author of many well-received books for children, including (for Clarion) the novels FIG PUDDING, and FLYING SOLO, and picture books TWILIGHT COMES TWICE, GRANDPA NEVER LIES and CIRCUS SURPRISE. He lives with his family in New Hampshire.Fletcher, Ralph J. is the author of 'Circus Surprise' with ISBN 9780395980293 and ISBN 0395980291.